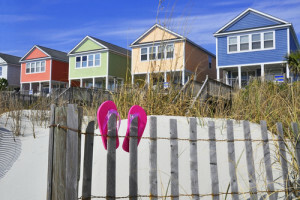 Although the housing market is heating up, buying an investment in order to flip it may not be the right plan for you. Buying a flip home relies on market prices going up higher than the cost for you to refurbish it for sale. And … it has to sell. Typically, a home purchased to rent or lease should fall in the middle of the income bracket of Staging its neighborhood. For your renters to be comfortable there and want to stay AZ long term, it should be a neighborhood where they can make friends, establish relationships, send children to local schools, play the and worship. When your renters fit into the neighborhood, you can expect them to form a longer relationship with you. This means that your rental won’t be empty as often. Each time renters leave, you incur expenses for refurbishing the home for the next renter and loss of income from the empty home. Most often, a long-term rental home is unfurnished. As real estate professionals, we can advise you on the right range wholesale NBA jerseys of rental price for the neighborhood in which you plan wholesale nba jerseys to buy. If your rent is too high, your tenants won’t fit into the neighborhood. If your rent is too low, you risk renters that may not take good care of Laser your home. If the cost of the home is considerably greater than the rent you can ask, you may need to look in Quelle a different area. Different from a regular rental home, a vacation rental can be available from terms as short as a single night or weekend to as long as a season (three to four months). Especially for families, renting a vacation home typically offers more space at a lower cost than hotel rooms, and allows for home-cooked meals and a private, relaxing atmosphere. Many people think a vacation rental needs to be a beach home or near a mountain resort, but a condo in Manhattan or Brooklyn, in a Hollywood neighborhood or near a theme park can be an excellent location too. In fact, rental homes in locations where businesses require employees to temporarily relocate for training is another good choice. Because the home needs to be furnished, the initial costs may be higher, but short-term and vacation rental rates can be much higher than long-term rental rates. Care and maintenance between renters usually doesn’t require extensive repairs, painting or replacing carpets either. An advantage to a vacation rental is that you can block cheap NBA jerseys out time for your own family to use the place as well. Just don’t leave lots of personal items there. Not everyone is cut out to take on the role of landlord. If you invest in a long-term rental, especially if it is out of town, consider hiring a property manager familiar with the area. Property managers handle the rent, advertise for new renters, take care of landscaping, repair broken fixtures or appliances, and prepare the property between renters. For vacation rentals, the property management takes care of all services for the property, including adverting and guest registration. If you’re in the market for an investment property, we can help. Give us a call and we’ll show you what’s available in our area that fits your parameters.